The parliament in the Cook Islands voted the creation of Marae Moana, a large marine parc encompassing all of the waters controlled by the country. An area of 1.9 million squared kilometers (730 000 squared miles) is now protected, an area the size of Mexico, or 3 times France. It got approved by a massive bill, voted last Thursday with large bilateral support according to Cook Islands News. Marae Moana creates zones where any commercial activity is forbidden, totaling 320 000 squared kilometers, and will impose drastic mesures on the rest of its commercial waters to insure that any commercial activity is ecologically durable. This great success for environmentalists can be attributed to the Ocean Advocate Kevin Iro, a former professional rugby player who had a successful career playing for clubs in England, Australia and New Zealand. When he came back to the Cook Islands, he decided to involve himself in the environmental cause: “When I moved back here (from New Zealand) about 16 years ago I saw what was happening to the lagoons and reefs and really wanted to protect them for my kids. I want them to have the same experience I did as a boy growing up” he said to AFP. 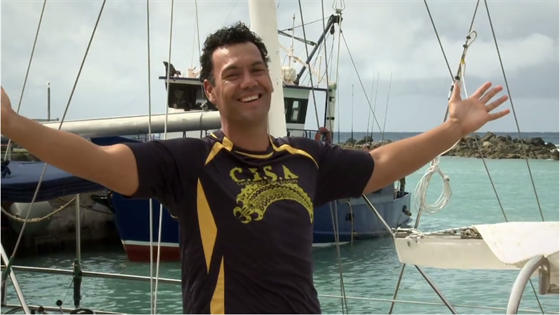 He got the full support of the Prime Minister of the 10 000 people country Henry Puna in 2011, when he named him co-chair of the Cook Islands Marine Park Steering Committee. The project accumulated great support from the local population, and public consultations actually led to the expansion of Marae Moana to the entire Economic exclusive zone (E.E.Z.) of almost 2 million squared kilometers. If you are not a fan of our Facebook page yet, you would be welcome to join the Pacificans community for more inspiring or interesting stories from all around our great Ocean!